WORLDCARD PRO IS AN ERGONOMIC AND CREATIVE BUSINESS CARD SCANNER WITH LIGHTING AND TILTING OPEN ENTRY DESIGN. 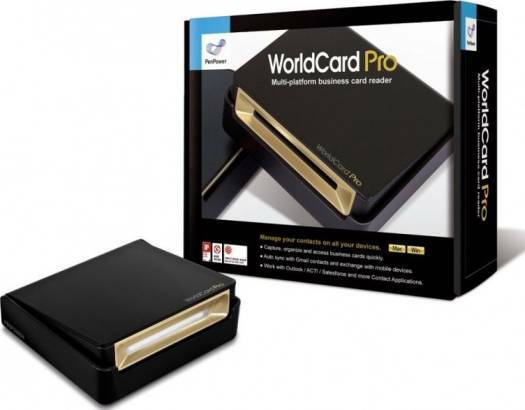 THE ENTRY DESIGN MAKES YOU PUT THE BUSINESS CARDS THROUGH INTO THE SCANNER AT A PROPER ANGLE AND SCAN THE INFORMATION EASILY AND INTUITIVELY. AFTER PRECISE RECOGNITION, THE INFORMATION ON THE BUSINESS CARD WILL IMMEDIATELY BECOME YOUR PERSONAL DATABASE OF SOCIAL NETWORK. HUMANIZED DESIGN ON A USB CABLE GATHERING IN THE BACKSIDE OF THE DEVICE SIMPLIFIES THE EXTRA CABLE PLACEMENT AND ON-THE-GO PROFESSIONALS FIND IT A GREAT COMPANION TO BRING ALONG ON BUSINESS TRIPS TO FILE CONTACT INFORMATION INTO A DATABASE BEFORE RETURNING TO THE OFFICE. 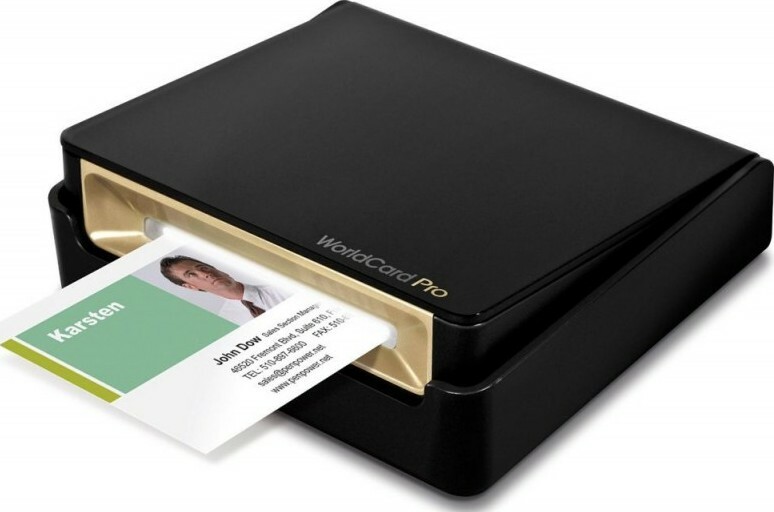 Scan and recognize business cards, then save contact information into accurate digital format in a few seconds. Recognize business cards in 25 different languages: English, French, German, Italian, Dutch, Turkish, Polish, Hungarian, Russian, Swedish, Norwegian, Japanese, Korean, Finnish, Danish, Greek, Czech, Slovak, Traditional Chinese, Simplified Chinese, Spanish(Mexico & Spain), Portuguese(Portugal & Brazil), Arabic language. Sync and backup your contacts in Gmail contacts. Never lose any data, even if you upgrade your computer or smart phone in the future. Beside Windows or Mac, you can also exchange contacts with Outlook/ ACT!/ Salesforce/ Lotus Notes or mobile devices. View and manage your contacts in Windows, Mac, or Gmail contacts. Just click sync button and save all contacts data or image on Gmail web services. User-friendly interface makes you search with keyword and provide quick functions, including Skype Out, Skype SMS and find contacts on facebook, Twitter or LinkedIn. We offer express delivery to Dubai, Abu Dhabi, Al Ain, Sharjah, Ajman, Ras Al Khaimah, Fujairah, Umm Al Quwain, UAE for PenPower WorldCard Pro Business Card Scanner | PT-WOCPE. 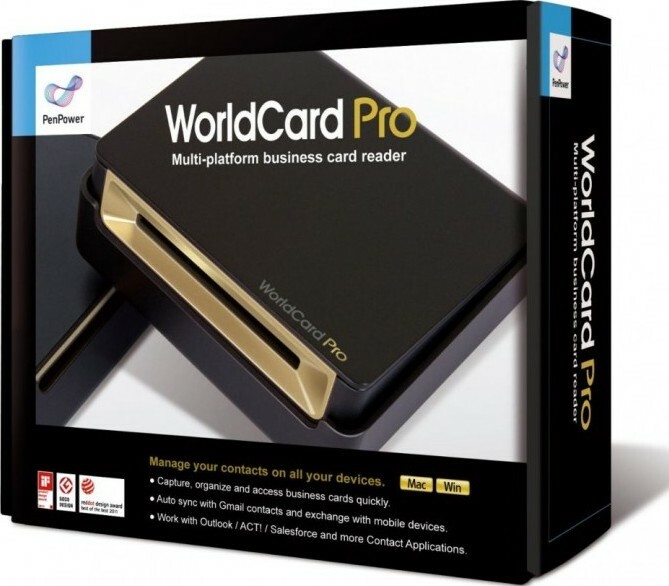 We offer the best price for PenPower WorldCard Pro Business Card Scanner | PT-WOCPE in Dubai, UAE. Buy now with the best price!